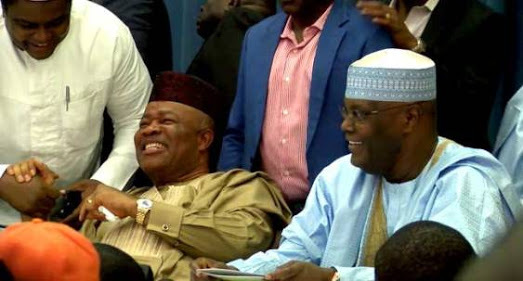 Thirty-Nine political parties have formed an alliance to wrest power from President Muhammadu Buhari and the All Progressives Congress (APC) in the 2019 general elections. The coalition also resolved to agree on common candidates for governorship, National Assembly and state assembly elections across the 36 states and the Federal Capital Territory (FCT). The collaborating parties - Coalition of United Political Parties (CUPP) - also promised a unity government in the event of winning the election with a joint manifesto that will usher in a well structured economic and fiscal federalism. Besides the PDP, other parties in the coalition include the Action Alliance (AA); Alliance for Democracy (AD); Africa Democratic Party (ADC); Action Democratic Party (ADP); All Grand Alliance Party (AGAP); Action Peoples Party (APP); Advanced Congress of Democrats (ACD); and Better Nigeria Progressive Party (BNPP). Others are: Democratic Alternative (DA); Democratic Peoples Party (DPC); Grand Democratic Party of Nigeria (GDPN); Green Party of Nigeria (GPN); KOWA Party; Labour Party (LP); Mass Action Joint Alliance (MAJA); and Masses Movement of Nigeria (MMN). Also in the group are: National Conscience Party (NCP); New Generation Party (NGP); National Unity Party (NUP); Nigeria Intervention Movement (NIM); Peoples Alliance for National Development and Liberty (PANDEL); Peoples Progressive Party (PPP); People for Democratic Change (PDC); Providence People’s Congress (PPC); and the Reformed All Progressive Congress (RAPC). Others are the Restoration Party of Nigeria (RPN); Social Democratic Party (SDP); Unity Party of Nigeria (UPN); All Grassroots Alliance (AGA); National Interest Party (NIP); Nigeria Democratic Congress Party (NDCP); Progressive Peoples Alliance (PPA); and Young Democratic Party (YDP) among others. Also speaking at the event, PDP National Chairman Chief Olu Falae said there was need for the coalition to produce overwhelming majority in the federal and state legislatures to form the required majority for the restructuring of the country. Speaking as national chairman of the R-APC, Alhaji Buba Galadima said his presence at the event alone signified a lot. Said he: “I am highly delighted and elated by the presence of the creme de la creme of the Nigerian society seated here. What we are about to do will send the shivers not only to those on the other side but to the entire world. “I have my reasons. If what I know, if what I have access to and I know, I assure you that General Buhari will not only lose the election but will lose his deposit. “Some of us are old soldiers and history said they never die. We are ready, prepared to take on this fight despite any deprivation, intimidation and even torture because this country belongs to all of us. “They are thinking of setting aside public money, which they accused others of using during elections, for this purpose. They can use the big stick because you know a desperate person can do anything. He can kill, if he has power, he can arrest and detain, but whichever one they choose to do, we are prepared to lay down our lives to save our nation. “They can say anything, they say we are inconsequential, they said we don’t matter, but when we were forming the party, the APC of which I was one of the nine signatories, those people that are making this noise, we did not see their faces, neither did we see their signatures. So how could they say we are inconsequential? Deputy President of the Senate Ike Ekweremadu said signing the MoU would rescue Nigeria in 2019 and restore her to the path of democratic freedoms, joy, security, and development. Ekweremadu added that the event was a gathering to witness the birth of a new Nigeria and to show that Nigerians have seen hope again. He urged the coalition not to disappoint Nigerians.